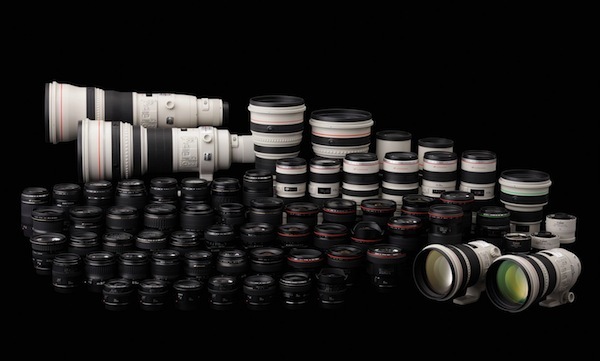 Ever since I started using Canon cameras over a decade ago, one of the key attractions of the system was the huge variety of lenses available. Need a fast, wide prime? Pick a 24/1.4 or 35/1.4, or if budget doesn't allow get their cheaper f/2 or f/2.8 brethren. Need a telephoto zoom? Take your pick from the 70-200/2.8 IS, 70-200/4 IS, 70-300/5.6 DO and the cheap and cheerful 70-300/5.6 IS. If you need them there are also the speciality lenses such as the 24, 45 and 90mm TSE, the super-fast 50/1.2 and 85/1.2 and the full range of super telephotos all the way up to the monster 800/5.6. Nikon have only recently updated their line to include a 24/1.4 and a full set of TSE lenses, and they still don't offer anything as fast as Canon's brace of f/1.2 primes. But if there is one lens that has caused some envy over last few years it is Nikon's well regarded 200-400 f/4 VR. It covers a very useful zoom range for sports and wildlife photographers with a reasonably fast aperture, and is pin sharp to boot. In fact Nikon released an updated version last year with better coatings and improved VR. 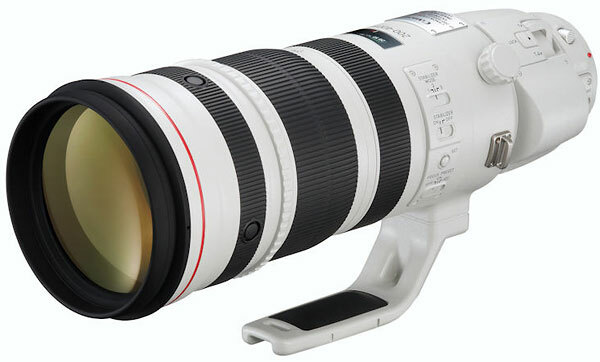 Canon have at last announced their own version of this lens - a 200-400 f/4 IS USM - but have upped the ante with a dedicated 1.4X teleconverter built in. The extender will allow the lens to act as a 280-560 f/5.6 when required. Many photographers are wary of using teleconverters as you do typically lose some sharpness - this is certainly the case with my 2X extender when used with my 70-200/4 IS. The advantage of having the extender built in is it can be optimised for that specific lens and so minimise the loss in sharpness. We'll have to wait and see how successful Canon have been in achieving this, but if they pull it off I can see this being an extremely popular lens among sports and wildlife pros. I rarely need to shoot anything longer than 200mm, so I'll probably just stick to my 70-200 f/4 IS and pull out the teleconverter occasionally. But for people who a regularly working at these focal lengths I'm sure it will be a hit. How well did your 70-200 f/4 IS work with the 60D's APS-C sensor? I'm probably going to get the 60D with the plan of it becoming a backup when I get the 5dII later this year. Should I stick to EF-S lenses with the 60D? There's no need to stick to EF-S lenses for the 60D, except if you need to be able to shoot at very wide angles. The 16-35 only has a 28mm field of view on a 60D, so if you need wide than that you will need to go EF-S. On the 60D shoot I used both the EF-S 10-22 f/3.5 and the 17-55 f/2.8 and was impressed with the performance of both, especially the 17-55. As for the 70-200 f/4, it works very well on the 60D. On a 5DII it is very sharp in the centre and just slightly softer in the corners when shooting wide open at f/4. If I'm able to I usually stop down to f/5.6. However, on a crop sensor camera like the 60D the slight softness in the corners is not visible so you should have no hesitation in shooting wide open.